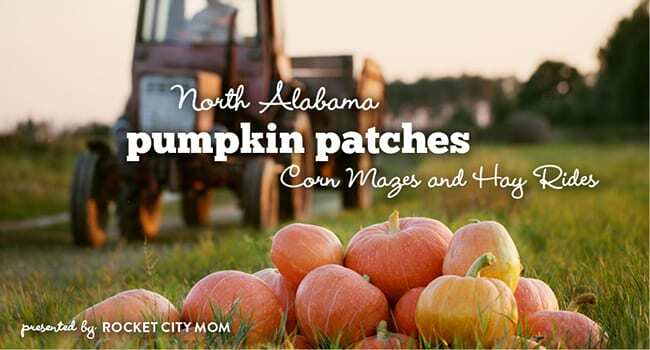 When it comes to celebrating fall in the Tennessee Valley, locals know that the many area pumpkin patches and corn mazes hold the most bang for your hard earned family buck. Here you’ll find several that are within driving distance and each offers something just a little different but they are all a whole lot of fun. Do you know of one we missed? We’d love to add it, just send us a note at info@rocketcitymom.com and be sure to include the information listed here (e.g. Date/Time, Cost, URL, Location). To get the full 411 about all that is happening in and around the Tennessee Valley this fall including information on Fall Break Camps, Trick/Trunk or Treating options, Halloween Parties, and more then mosey on over to the full 2018 Fall Activity Guide. Then be sure to share the scoop with your friends so you’ll see familiar faces when you are out and about this fall season. Opening September 29, the new 2018 hours at this Rainsville farm will be Saturdays 10AM-9PM, and Sundays 10AM-6PM, and for field trips on Friday. 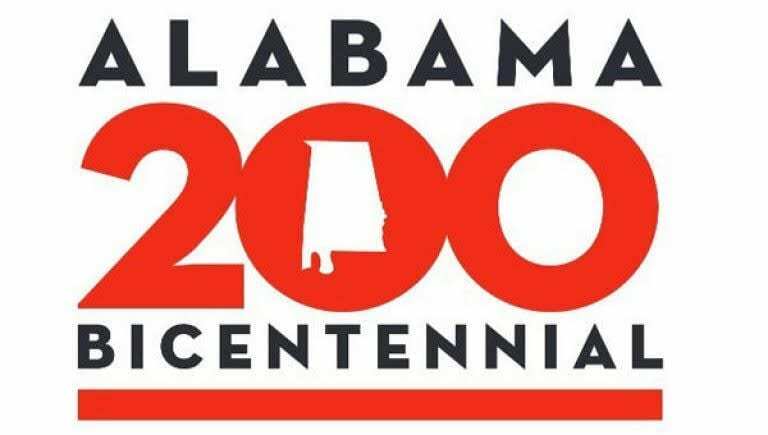 Activities include a corn maze, pumpkin painting, hayrides, a simulated milking cow, lots of playground fun for the little ones and a farm animal petting zoo – plus pony hops, corn hole, a rope maze and more. Before you leave, shop their great gift shop full of fall decor and delicious edibles! Guillon Farms is a 29-year-old working farm owned by Steve and Tammy Guillon. Open year-round for field trips and birthday parties, this farm boasts milking a cow, hay rides, petting zoo, fishing, sweet shop, pumpkin picking, and all of the fall fun your heart desires. They will be open to the public every Saturday in October from 10AM-4PM and as well as for scheduled field trips during the week. Lunch specials are also available, as well as night hay rides and campfire specials for groups. Pumpkins, pumpkin patch-pick in the field, pumpkin patch- already gathered from the field, train rides, straw or hay bale maze, corn and pumpkin cannons, tractor-pulled hay rides, wagon rides, honey from hives on the farm, Piper & Leaf tea, pre-picked produce, gift shop, snacks and refreshment stand, restrooms, picnic area, face painting, petting zoo, farm animals, and more! Tate Farms is a great location for birthday parties, wedding and company parties, and school tours. Kids and adults alike love the jumping pillows, corn cribs, and fall photo opportunities! 2018 season opens on September 24. Hours are Monday-Friday 2PM-6PM; Saturdays 9AM-6PM. Now in its 10th year, visiting the Sand Mountain Corn Maze is a great way to experience some good old-fashioned country fall fun, including wagon rides, pumpkin picking, cow train rides, corn blasters, duck races, slides, corn pits, play barn, and a playground! Adults and older teens can take part in the Zombie Splatter Fridays through Sundays after dark, where players take can have some frightful fun taking a wagon ride through Zombieville with paintball guns. Opens September 22 at 10AM. Hours are Tues. and Thurs. 4PM – 9:30PM; Fri. 4PM – 10PM; Sat. 10AM – 11PM, and Sun. 1PM – 9PM. Location: 1/4 mile off Hwy 431 at 8420 Cox Gap Rd in Sardis City, AL. Open September 29-October 31, this family farm advertises itself as “Country Atmosphere” and the owners encourage you to “sit under our big oak and listen to the country sounds.” Take a 20-30 minute trip to the real pumpkin patch where you can see and pick small and large pumpkins right off the vine. Children and also feed the chickens, see baby goats, jump on the big pillow and pick cotton. They also have thousands of mums and a great selection of traditional fall decorations to select from at reasonable prices. They are celebrating their 19th year, so go out and have a visit! Open weekdays 3PM-6PM, Saturday 10AM-6PM and Sundays 1PM-5PM. The Scarecrow Festival at the Garden is a favorite fall event visited by over 60,000 guests each year! With weekend hayrides, a picturesque Pumpkin Patch, and, of course, our ever-popular Scarecrow Trail, nothing says family fun like fall at the Huntsville Botanical Garden. This year, in honor of the Garden’s 30th birthday and to coincide with our Gardens of Myth exhibit (open now – October 31), the Garden has asked 30 artists, families, and businesses to create the best Scarecrow Trail ever with “Mythical & Magical Scarecrows of Legend.” The 30 scarecrows will be displayed along the Dogwood Trail and Mathews Nature Trail. The Children’s Garden will also be decorated during October with its own display of mythical and magical scarecrows (created by schoolkids), pumpkins galore, and a fun exhibit in the BOO-terfly House the last weekend of the month! Other family activities include Weekend Hayrides, Scarecrow Trail Night Hikes, a Family Campout, and more. Bring your camera to capture the beauty of autumn in the Garden and don’t forget to visit the Pumpkin Patch for a family photo! Now in it’s 6th year, this train is sure to be a fun day for the whole family! An alternative to the traditional pumpkin patch, the North Alabama Railroad Museum is combining the thrill of picking a pumpkin with the excitement of a train ride. Riders will be allowed to disembark from the train at Normal and enter a punkin’ patch. Children will be allowed to select a pumpkin (included in the price of their ticket) and take it back to Chase on the train and then home.